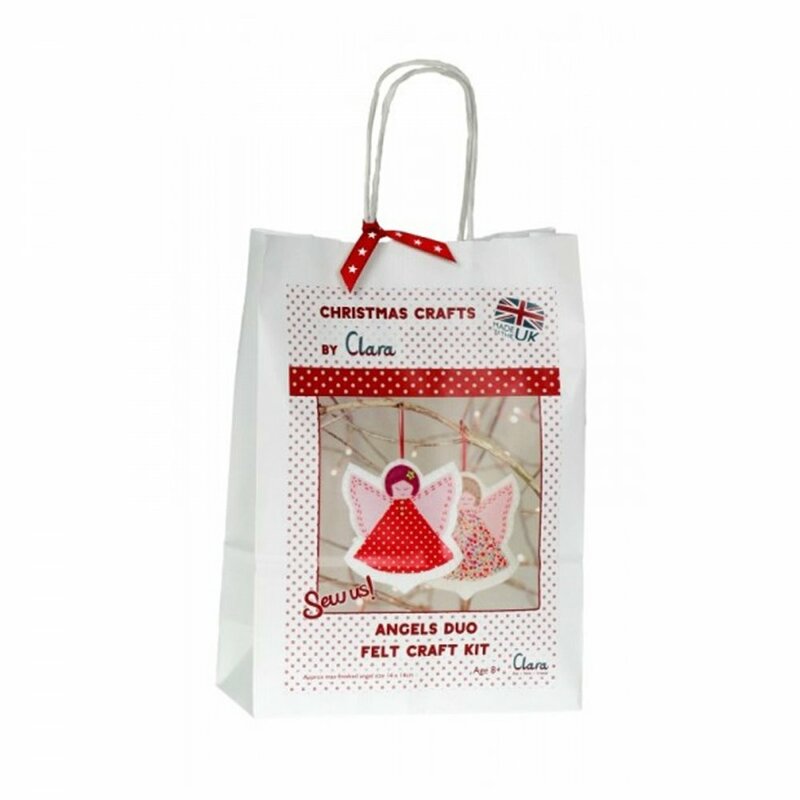 This sewing kit contains everything you need to create two pretty Christmas hanging angels. This Clara kit is designed and made with pride in Cornwall using quality components including superior wool blend felt - just add scissors! This kit does not have pre-punched holes, and contains "proper grown up" needle and pins! A bit about the brand: Designed and made in Cornwall, each kit contains all you need to create and sew your own felt toy animal. With high quality and child-safe contents, from wool mix felt to funky buttons and ribbon, these bright and cheerful toys are a great adult and child creative past time.